If any of you have experienced the 'Sorry we are full ' statement when you roar up on your beloved Motorcycle, as you are classed as an extra out of The Wild One/ Easy Rider/Wild Angels and are about to tear up the land, terrorize the locals and leave the place in total disarray... We have a camping place below who will indeed welcome you! 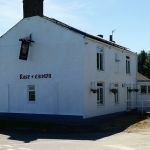 A great Biker friendly pub, with a campsite, serving home cooked food all day, from 9am until late and open all year. 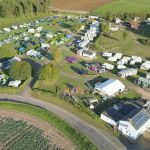 The rural campsite close to The Wash National Nature Reserve, with a brand new shower block, disabled access toilet, washing up sink with hot water and an on-site convenience shop available for all your necessities. 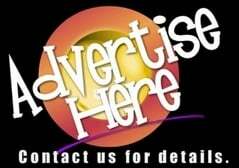 Also static caravans for rent on a short term or weekly basis. The large camp field is available for Rallys. Situated a short ride to the sea-side town of Skegness, Boston, Peterborough, The North Norfolk Coast, Kings Lynn and The Sandringham Estate. 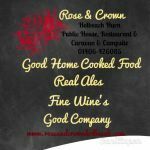 There are many places of interest to visit nearby and events regularly take place on the premises. Free Wi-Fi. Drying room. Parking with CCTV and security systems. 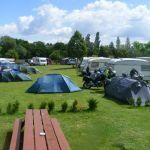 Biker Friendly Campsites, Camping, England, A158, with the village of Burgh-le-Marsh just a ten minute walk away, where you will find a good selection of shops for supplies and a few pubs. 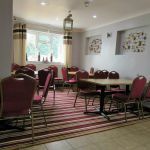 A short ride to close to Skegness and Butlins, Mablethorpe and lots of Biker Meeting places such as Hartsholme Country Park, Willingham Woods and the seafront of Skegness.